It also reduced the 2019 forecasts for the world economy. It expects it to grow by 3.5% this year, a figure 0.2 points below the October 2018 forecasts that had also been revised downward. It kept the forecasts of the two leading world powers unchanged (2.5% for the USA and 6.2% for China), revised Japan’s growth upward but showed more pessimism as far as the Eurozone is concerned (1.6% against 1.9% forecasted in October 2018). In Europe, Germany’s growth has been revised downward the most with an economy now expected to grow by 1.3% (-0.6 point), followed by Italy (-0.4 point to 0.6%) and France (-0.1 point to 1.5%). 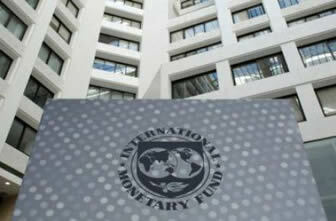 The IMF notes that world growth is globally resilient but, affected by commercial tensions and political factors like the Brexit in the Uk and the social upheaval in France, it is growing slower than expected.